For the 2018-19 season, we are taking a break from group snowmobile tours in order to focus on improving our other guiding and mechanized ski programs. If you have a private group of 4 or less, we may be able to organize a trip for you. 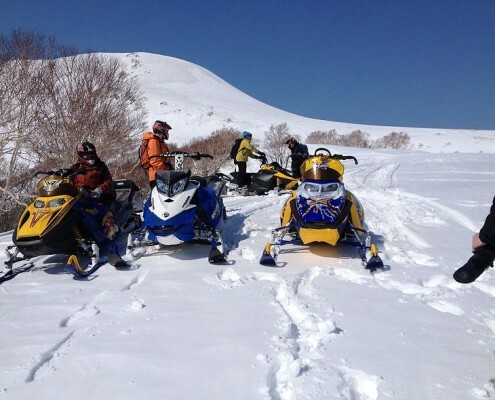 Hokkaido Backcountry Club offers full-throttle, deep powder Japan snowmobiling for guests of all ability levels. Whether you are looking for a beginner tour or advanced backcountry snowmobiling, and sled-accessed skiing or snowboarding we have you covered. Our locations are ideal for snowmobiling offering you open, on-and-off track terrain. Group sizes are small (max 4:1 client:guide ratio), and our qualified guides will ensure you have a safe day whether it is your first time or you are a seasoned boondocker.  Hokkaido Backcountry Club guests are covered under our comprehensive insurance policy, but all riders are responsible for any damages caused to the machines. 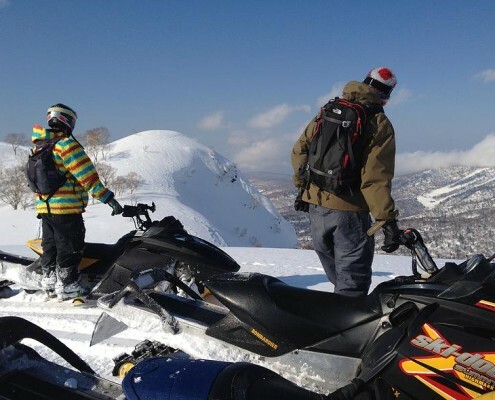 Hokkaido Backcountry Club snowmobile guides start every tour with a safety talk, including a basic intro to the machine and overview of important hand signals. We then follow with a few warm up laps under close supervision, and then it’s go time!